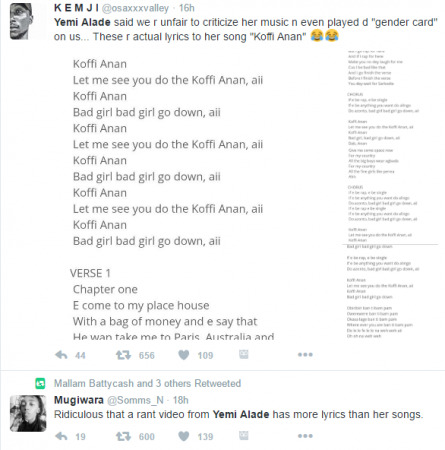 Watch Yemi Alade call critics dumb for slamming her lyrics! 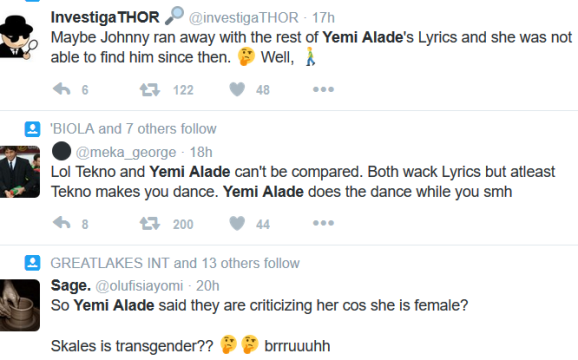 Yemi Alade the Johnny crooner is seen in this video slamming twitter and social media critics for calling her lyrics wack!I like the Mama Africa singer,but she has to realise that once you start answering back to critics,you give them more power.Because they know they are getting to you.We all know critics is just another word for somebody who is jealous cos you are doing something they wish they can do or should be doing. 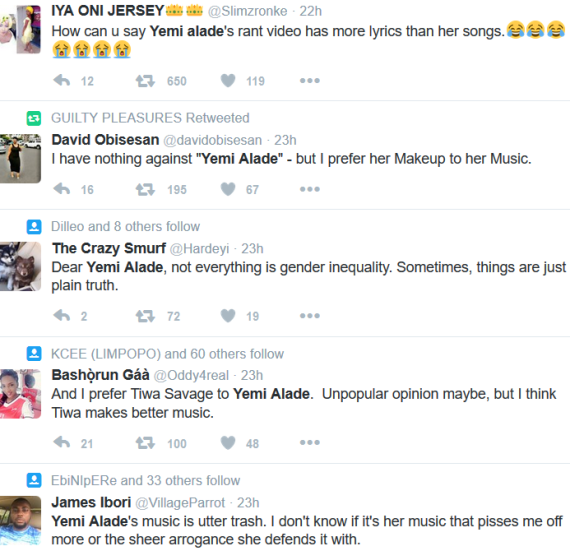 Just ignore them.Another idea i will give Yemi is,don't call fans or critics derogatory names.They buy your music,you don't have to like them all,but give them that respect.Once you are an entertainer,you have put yourself in the firing line.You grin and bear it. The positive things and love you get is far far more outweighing than any criticizing you will ever get.